Reblazon of device. Or, in pale a quetzal proper perched on a pomegranate slipped and leaved gules. 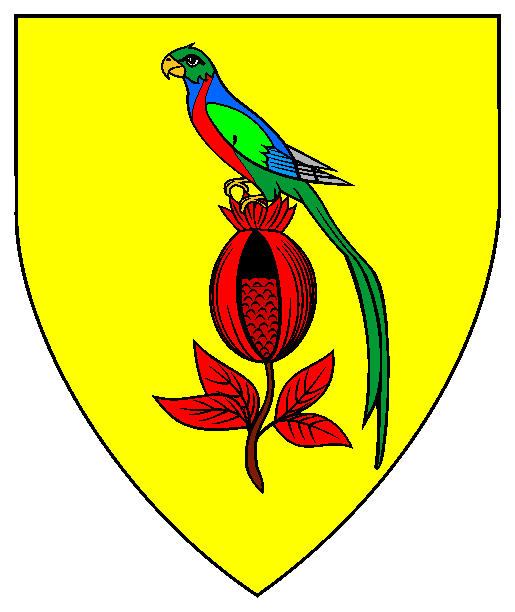 Blazoned when registered in December 1971 as Or, a quetzal proper perched on a pomegranate slipped and leaved gules.